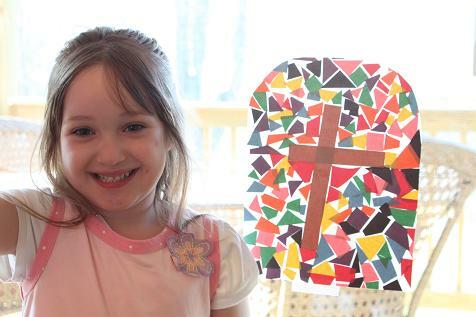 Continuing with our Easter theme we made this mosaic today. I put out a piece of contact paper. 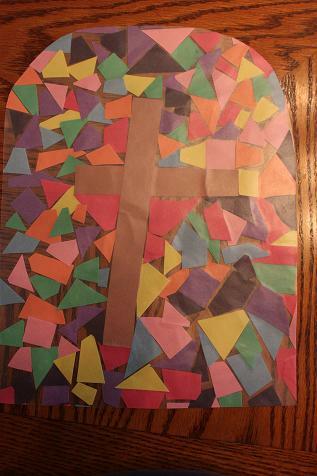 Hailey put a cross on it and then added pieces of construction paper in a variety of colors. She added lots of colors. I cut it to look like a window in church. 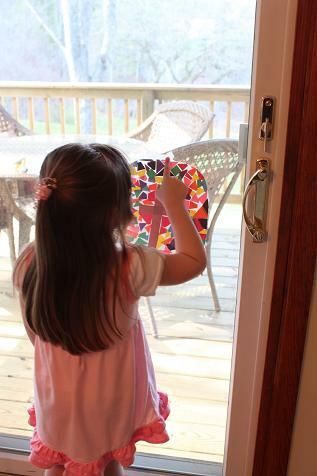 Hailey hung it up on our sliding glass door. She loved how it turned out! 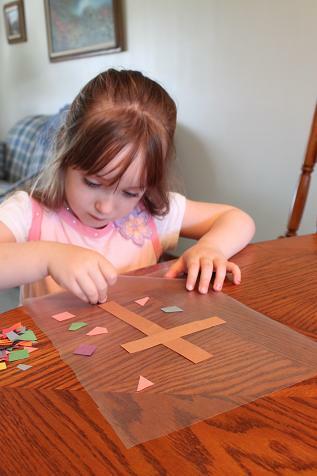 I like this because the child can do it with little support and the outcome is beautiful! 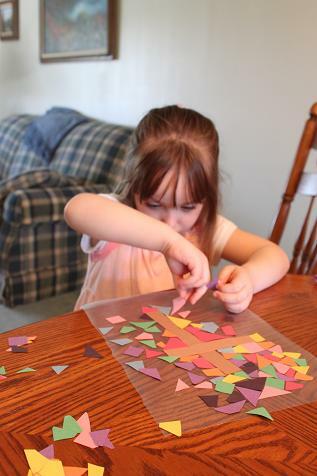 You can win the Time4Learning Giveaway (the one you applied for on Confessions of a Homeschooler) I am now offering the same thing, sign up so your kids can play all the fun games too! and you get to Review them!